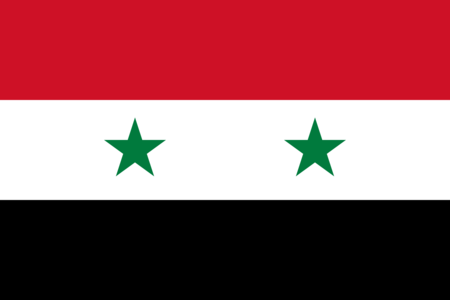 Syria is an ancient land with incredible cultural riches and a large territory that borders Lebanon and Israel in the southwest, Jordan and Iraq in the south and Turkey in the north, along with a coastline on the eastern Mediterranean. The capital at Damascus was already ancient when the apostle Paul made his famous journey there, and other historic cities like Aleppo and Homs are also cultural treasure troves. Currently, however, Syria is locked in a years-long civil war with no end in sight, as the forces of the hereditary dictator try to hold onto power in the face of an uncoordinated rebellion. The result has been untold suffering for millions of Syrians, with hundreds of thousands of dead and many forced into exile in Turkey and Europe. Needless to say, Syria is now one of the most dangerous and unstable places on earth, and, in addition to the incredible human misery, has born witness to the wholesale destruction of some of humanity's greatest archaeological treasures. The conflict, which also pits different religious sects against each other and serves as a kind of proxy for international tensions, seems at this point irresolvable. It is therefore difficult to know the fate of Syria's one golf course, which was built before the war began at the Ebla Cham Palace hotel just outside Damascus.